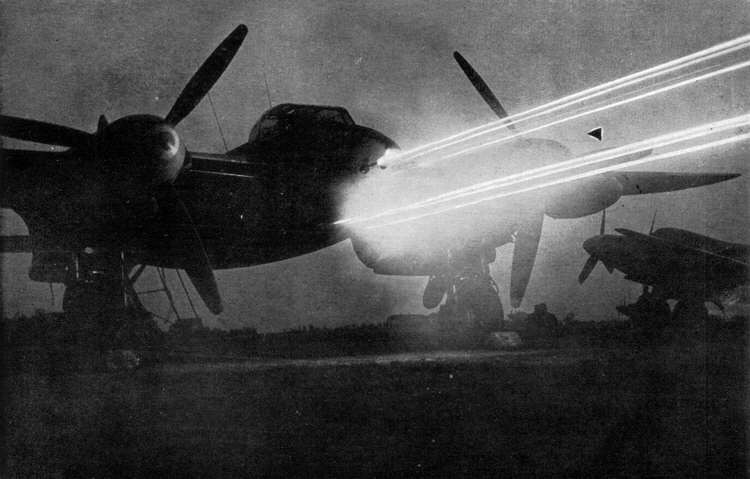 This dramatic picture shows all eight guns on a de Havilland Mosquito FB VI firing at the same time, giving a good idea of the impressive firepower concentrated in the nose of the aircraft. Mosquito Aces of World War 2, Andrew Thomas. This volume concentrates on the fighter variants of the Mosquito, looking at their role as a defensive fighter, both over Britain and overseas and their use during the D-Day invasion to protect the fleet. Thomas also looks at the career of the Mosquito as a night intruder over Germany, where it became the scourge of the German night fighters, often being blamed for losses miles from the nearest Mosquito.